Sold by Holy Stone and Fulfilled by Amazon. Gift-wrap available. Sold by Holy Stone and ships from Amazon Fulfillment. Capable of stunts like 360° flips in flight, high speed rotations, and various flight movements for wonderful actions. 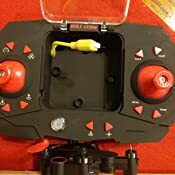 Holy Stone HS190 has 3 switchable speed modes: Low / Medium / High Speed, help you to practice your flying skills step by step, so that you can go from a beginner to an expert gradually. 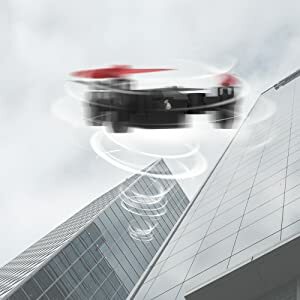 With the press of a button (return to home) in Headless Mode, the drone will fly back to the direction of the transmitter. We ordered this drone because my 5 year old saved his money and purchased a Fisher Price 4yr and up drone from target just before this purchase. 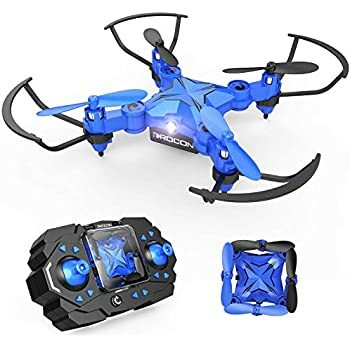 When we opened it up and he tried it out, the fisher price drone broke in less than 30 seconds by running into a wall. A $40 toy meant for young kids! 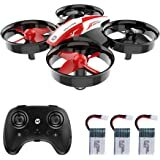 We looked on amazon and found this drone and the reviews were great so we decided to give it a try. I’m happy to report that my 5 year old has flown this over and over. It’s hit walls and is still going strong. The battery lasts about 20 min which isn’t long enough for a 5 year old but it’s tough! 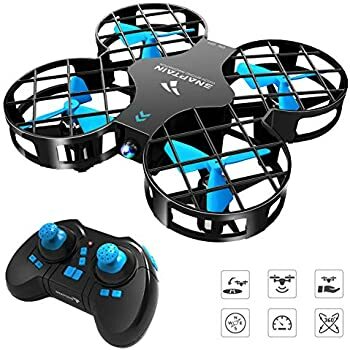 I’d highly recommend this drone to moms of young kids who are just beginning to learn how to fly these toys. 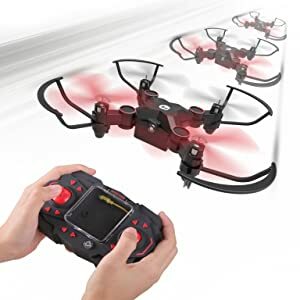 I am finding that Holy Stone's HS series drones are a lot better than their F series drones. 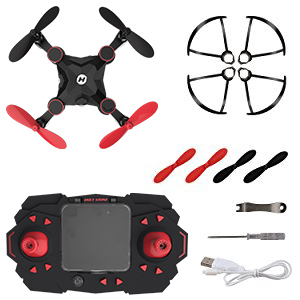 I am also finding that the HS190 flies and handles way better than the fragile Eachine nano quadcopters I have had. This drone has stable altitude hold and responds readily to the controller. 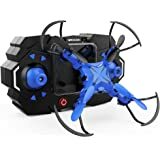 I finally have a beginner drone where I can actually perform/practice funnels and bank turns. Flips work great as does its high-speed rotation feature. I am getting about 8 minutes of flight on a charge, and recharging takes about 30 minutes. 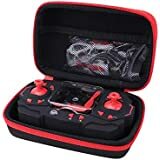 This is my first drone which can be stored in the controller case, and I really like this pocket-able footprint. Only (minor) "thing" is that I used the propellor guards on my first flight (wasn't sure how it would fly), then have taken them off since. 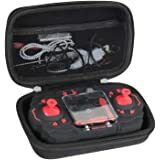 You can't store the drone in the case with the guards on. 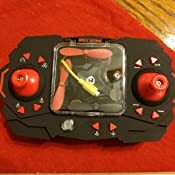 UPDATE March 29, 2017: To give credit when due, Holy Stone Customer Service sent me a crash pack free of charge when they learned that I had bent a propellor within the first 30 days. I had only enquired about where to get a spare propellor. 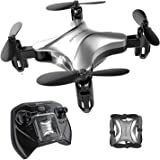 So I am delighted with their "service" - although I had already given the drone 5 stars because it is such a fun flyer. 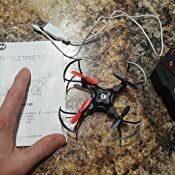 5.0 out of 5 starsGreat little drone for fun and practice. 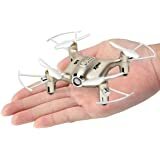 This mini drone from Holy Stone is very responsive and full of features. 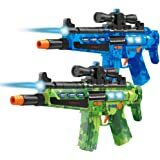 It is perfect, for kids, beginners, and anyone who just wants to have fun. I highly recommend it! 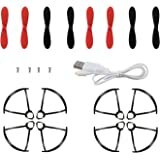 It is also useful for practicing your flying skills, both indoors and outdoors. 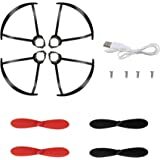 It does not take a relatively long time to charge (roughly 30 minutes) via USB or from the transmitter and gives you 5-8 minutes of flying time. 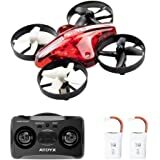 It has several colored LEDs on the drone body and a bright white LED in the front, which look cool and also provide a method of tracking the drone and its orientation. It has three speeds from which to choose. All of the features worked great from the start. The One Key Take-off and Landing functions performed well. The Altitude Hold function worked pretty good, but the performance was improved even more by using the Trimmers buttons (as described in the user manual). The High Speed Rotation and Flip Mode are fun to try and watch. The One Key Return worked as described in the manual, but you do need to be aware of the drones’ position relative to you and the transmitter. 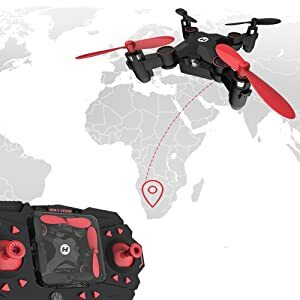 Headless Mode allows you to control the drone relative to the transmitter so you do not have to be concerned about keeping the head of the drone facing away from you. 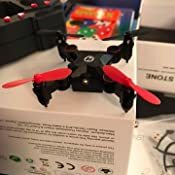 I actually was surprised at the quality of the instruction manual and would recommend taking 5-10 minutes going through it before flying the drone. It will save you time and make the whole experience even more enjoyable (especially if you are a beginner or novice). The HS190 has been resilient and sturdy so far. We have run into several items and crashed at least a few times with no ill effects (the propeller guards were attached). 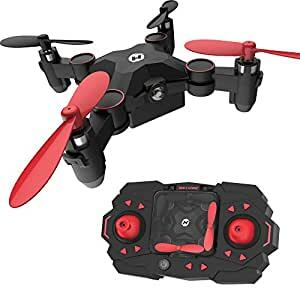 Since the drone arms do fold, make sure you check and put them back in place after a crash. 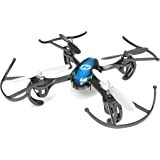 As for drawbacks of this drone, it's difficult to find any considering the functions and the price. It does take a little time to become acquainted with all the little buttons on the transmitter/controller. 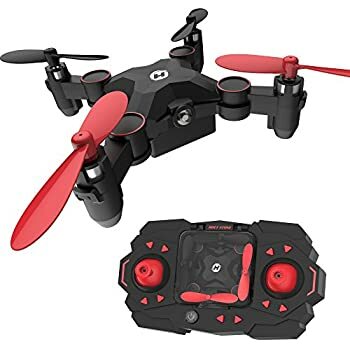 It would be nice if they were labeled, but that probably would not be practical for a drone of this size and price point. The manual says to be careful of over-charging the battery and recommends unplugging the charging cable once the battery is fully charged (LED on cable turns off when completed). We did not notice this in the manual at first and charged it for a much greater time. Fortunately, there were no problems afterward, but it is something to keep in mind. Overall, this has been a fantastic little drone thus far. 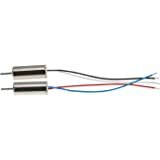 I have not required any support from Holy Stone for this HS190, but response to inquiries and questions about their other products has been exceptional. 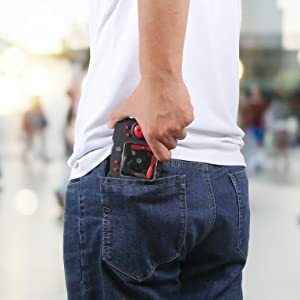 Their customer support is top notch and you will see that throughout other reviews as well. 5.0 out of 5 starsBuy this! You wont be disappointed. Phenomenal performance. I bought this one for a present but it wasn't going to arrive in time, went to Wal-Mart and picked one up and gave it as the present. We played with it for a bit, it was alright. Came home and this one had arrived so I charged it up, the difference is night and day, price was the same. 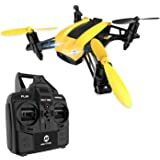 I've been flying rc aircraft for 8 years, so far this drone easily maxed out my skill capacity and there's still more to learn about it. BEST PART, my wife who has no experience at all can fly it and land it flawlessly. Great design, high quality so far and perfectly clear instructions, you can tell the manual writer spoke English well! Cones with tons of spare parts, thank God. This is my first break into the drone world and im very impressed. P.S. tried out the fast speed on the first night of playing with it.... ohhh boy.